Austin is home to a huge community of hybrid drivers, but there aren’t enough qualified technicians to service them all. Dave’s Ultimate Automotive has locations all over Texas: Pflugerville, Austin, Round Rock, Cedar Park, and others! Dave’s is now serving our hybrid community with the quality service and repair you’ve been looking for. You may have purchased your hybrid vehicle in an attempt to save money while helping the environment, but you also need to protect your investment. Routine maintenance and repairs are where you could be losing money if you’re still bringing your hybrid repairs to the dealership. Dave’s Ultimate Automotive is here to meet your hybrid repair and battery replacement needs, and we’ll also help you develop a proper maintenance plan, designed especially for your hybrid vehicle. 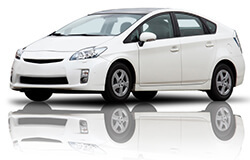 Our exceptional care for hybrid vehicles is equal to that at your local dealership. You’ll receive our specialized attention at affordable prices that you won’t get from any hybrid dealer. Our goal is help you extend the life of your hybrid vehicle, proper hybrid battery maintenance is a very important part of that. At Dave’s Ultimate Automotive, we’re fully equipped to handle your hybrid battery replacements. Our technicians have been trained in hybrid technology, and are happy to walk through every step of the battery replacement process. At Dave’s Ultimate Automotive, you can expect the same level of service as the dealership, or better! We pride ourselves in customer education, personalized attention, and affordable prices, and you can rest assured that your hybrid will be in good hands. Schedule Your Hybrid Vehicle Service Today! The next time your hybrid is due for service or a battery replacement, please give us a call! We also offer a convenient online scheduling tool and free shuttle service, so you don’t miss a beat!